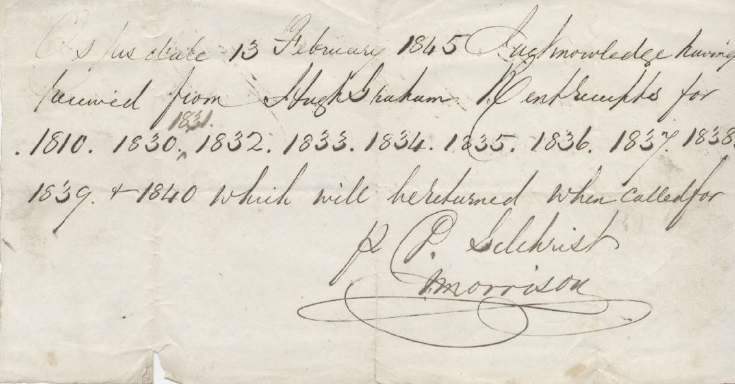 Receipt for rent receipts for 1810 to 1840, from Hugh Graham, to be returned, dated Ospisdale 13 Feb 1845. Signed Morrison(?) pp Gilchrist.